All PerfectLaw® applications share a common user interface for ease of use and share a common master database containing client, matter, billing, scheduling and case information. Database sharing eliminates the time, cost and complexity of maintaining multiple databases that occur when firms implement applications from different vendors. 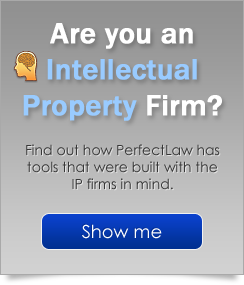 The PerfectLaw® system is one of the fastest, most powerful systems on the market today. PerfectLaw® Software supports complex billing procedures for electronic and task-based billing as well as a wide variety of billing formats and customer statements. The PerfectLaw® Reporting System is unmatched in the industry. Features include printing and auto-profiling single and user defined report sets as well as exporting to industry standard file formats such as .doc, .pdf, .xls, .rtf, or .txt for presentation or additional analysis. Furthermore, although users have access to a complete library of productivity and management reports, with the system's user-friendly interface, reports can be easily modified and custom layouts can be created then added to a user's personal directory of reports. ...all of which are easily accessible through AIM®, the Attorney's Information Manager. PerfectLaw® also supports full text searching, browser based remote access, remote access through wireless technology and terminal server software, as well as integration with Microsoft Outlook or Novell GroupWise. PerfectLaw®, All-in-One®, Paperless Workflow®, and AIM® are a registered trademark of Executive Data Systems, Inc.
© Copyright 2008- Executive Data Systems, Inc. All rights reserved.